Austrian court backs extradition of Ukraine businessman Firtash to U.S.
VIENNA (Reuters) - An Austrian court approved on Tuesday the extradition of Ukrainian businessman Dmytro Firtash to the United States in a bribery case, overturning an earlier ruling that had said the U.S. request was politically motivated. Firtash, who denies the U.S. bribery allegations, is a former supporter of Ukraine's ousted pro-Russian president Viktor Yanukovich. 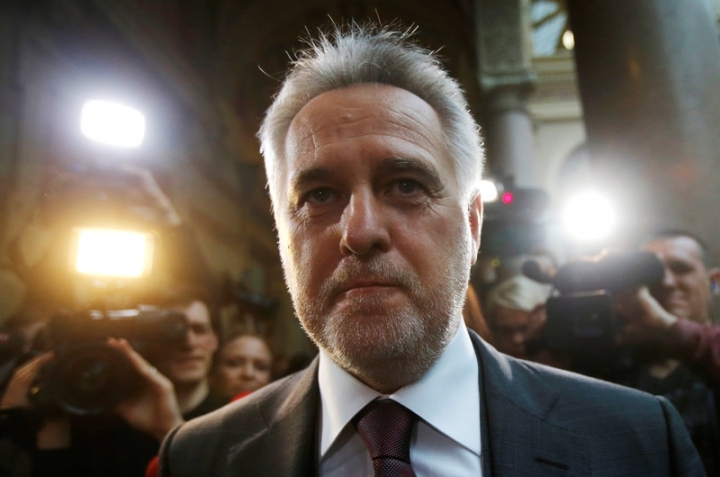 Firtash made a fortune selling Russian gas to the Kiev government. 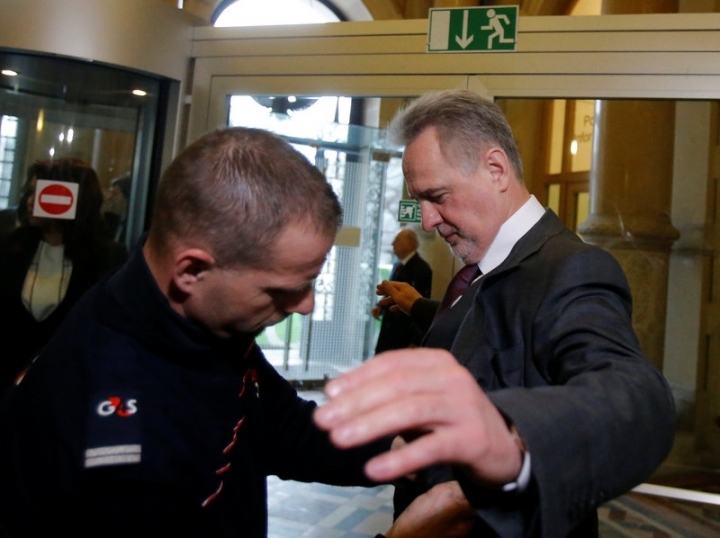 Minutes after Judge Leo Levnaic-Iwanski announced his extradition verdict to a packed courtroom, a spokeswoman for Austrian prosecutors said Firtash had been detained on a European arrest warrant based on a separate Spanish request. The spokeswoman said it was too early to say if implementing the European warrant might impact the extradition proceedings. She could give no details on the Spanish request, though Spanish media said it related to suspected money laundering. 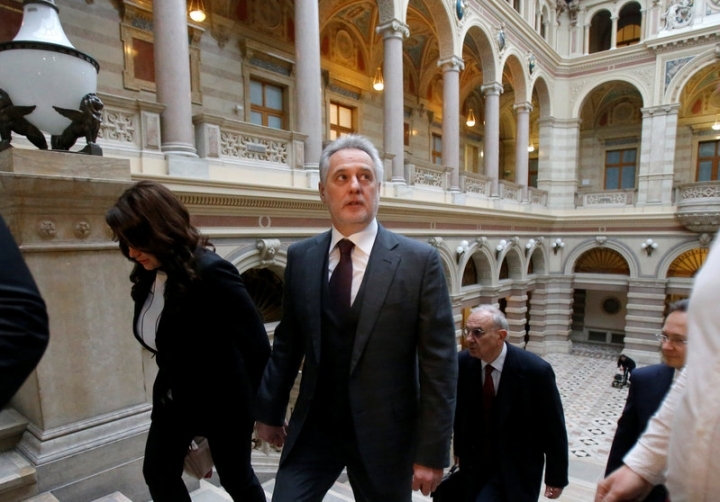 In the extradition case, Judge Levnaic-Iwanski said the United States had provided further documents to strengthen its case against Firtash since the previous Austrian court ruling. "This does not mean that somebody is being pre-judged as guilty, but rather that it will be decided in another country whether they are guilty or innocent," he said. A U.S. grand jury indicted Firtash in 2013, along with a member of India's parliament and four others, on suspicion of bribing Indian government officials to gain access to minerals used to make titanium-based products. Levnaic-Iwanski said the U.S. charges against Firtash were entirely of a criminal nature and not related to politics. He added that the businessman, who was in the courtroom, would get a fair trial in the United States. 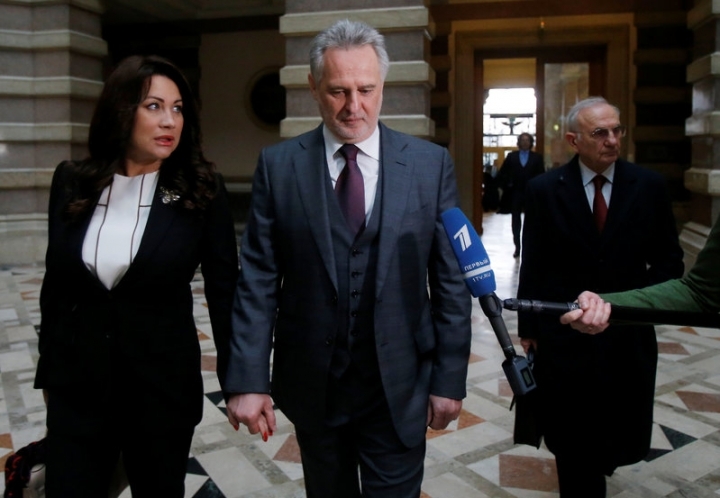 Speaking before Tuesday's verdict, Firtash's lawyer Dieter Boehmdorfer reiterated the accusation that the United States was motivated in the case by political interests. "We must not allow Austria to become a stooge for the political world power the USA," Boehmdorfer told the court, depicting Firtash as the victim of a U.S. strategy to minimize Russian influence in Ukraine. The U.S. embassy in Vienna had no immediate comment. Washington welcomed the ousting of Yanukovich amid mass street protests in February 2014 and has backed his pro-Western successor, Petro Poroshenko. Yanukovich now lives in exile in Russia. "We will be taking all appropriate steps to appeal this decision – including, in Austria through an appeal to the supreme court, as well as in Europe to the European Court of Human Rights," Boehmdorfer said in a statement. If an appeal were successful, Austrian Justice Minister Wolfgang Brandstetter could also overturn the extradition. Asked if he would stand in the way of extradition to Spain or the United States, Brandstetter told broadcaster ORF that first a court would have to review the Spanish case and then the situation would be assessed. Firtash, whose business concerns in gas trading and chemicals thrived under Yanukovich, has not returned to Ukraine since his initial detention in Vienna in March 2014. He paid a record bail of $125 million at the time. While his star has waned in Ukraine partly due to his exile, Firtash retains influence thanks to his part-ownership of Inter, a top Ukrainian television channel, and his gas distribution and fertilizer businesses. He is Ukraine’s 16th richest man, with estimated wealth of $251 million as of 2016, according to Forbes Ukraine.